Faculty in our programs come from numerous health professions, basic sciences, biomedical sciences, social sciences, cognitive sciences, engineering, bioengineering and computer science backgrounds. The “transdisciplinary” nature of the school's educational and research programs makes them unique and rewarding, and results in breakthrough discoveries. School faculty are involved in making groundbreaking contributions to health care, biomedical discovery and educational research. This includes inventing and evaluating new ways to capture, store, access, and evaluate health care and biomedical research knowledge and information. Arif Harmanci, PhD, MS arrive at SBMI in the fall of 2017. Harmanci received his Master’s and PhD degrees in Electrical Engineering from University of Rochester, NY. His PhD thesis addresses the modeling of homologous structures of non-coding RNA sequences. He has developed several state of the art structure prediction methods that are being used today. 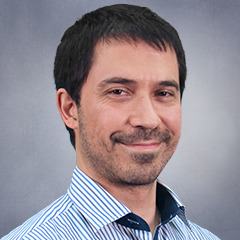 His research interests cover a large spectrum of topics in computational biology including functional genomics data analysis, non-coding variation, genotype-phenotype associations, cancer genomics, biological networks, and development of novel machine learning methods for biomedical data analysis. Akdes Serin-Harmanci, Ph.D. joined SBMI in October of 2017 as an assistant professor. 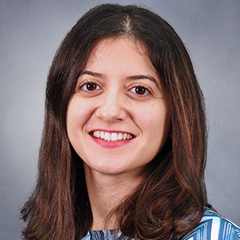 Before arriving at SBMI, Serin-Harmanci was an Associate Research Scientist at Yale University School of Medicine, Department of Neurosurgery. Serin-Harmanci’s research focuses on developing integrative approaches on genomic, transcriptomic and epigenomic data to dissect the molecular landscape of cancer. She has an extensive experience in applications of next generation sequencing technologies in cancer research. Most recently, she studied the epigenetic and genetic mechanisms leading to atypical and malignant transformation of brain tumors. 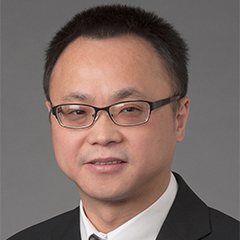 Xiaobo Zhou, Ph.D. joined SBMI in February of 2017 as a Professor and the Director of Center for Computational Systems Medicine. Dr. Zhou and his colleagues pioneered the imaging aided surgical design and medical device optimization, computational genomics, high-content cellular imaging informatics, multiscale systems biology guided cancer and regenerative medicine, and phosphoproteomics data analysis. He has published close to 200 peer-reviewed research articles including Science, Nature series, various IEEE Transactions, Cancer Research, Nucleic Acids Research, Biomaterials, Bioinformatics, Plos Computational Biology, etc, and also authorized two books.